And loving the new gear and slowly getting back my eye. Its like going home. I truly appreciate all of the info and discussion on this forum. My name is Paulo and I am from Portugal. I have been taking photos for over 20 years now, using Canon EOS for a long time. In the transition from DSLR to MILC I have tried Olympus, Panasonic, Fuji X, and have settled with Sony Alpha 7. I am a long term photographer now in my 60s. I have used a few different cameras over the years and I am now interested in acquiring a Fuji. My current dilemma is whether to buy an XPRO2 or an XT2? I am hoping to learn a bit from the current members and, as soon as possible, make a decision and get out to take some photos. I have used Nikon and Leica gear back before film became obsolete. My favorite was an old Leica M6 that I traveled with. At present, I am retired from the computer business. I like to get out and hike as often as possible and take photographs. I am looking forward to participating in the forum. I live in Pennsylvania and have been shooting with Canon dslr cameras for many years. I was given the Fuji XT2 in December along with the 18-55mm lens and the Fuji 35mm f/2 R WR lens. (My husband and "kids" knew that I was interested in getting this camera.) I usually shoot RAW & jpg files and enjoy processing the RAW files. But one of my goals in getting the XT2 is to see whether I can get a high percentage of jpg files that I am happy to use with little or no post-processing. Lots to learn about using this new cameral but enjoying the journey. The XT2 is definitely a fun camera to use! I am looking forward to learning from those of you have been shooting with Fuji for awhile now. I am not a new chicken in photography, I practice for 50 years now and had it all from 35mm to LF, but never had a fuji ! I bought a Pana LX100 for its compactness and straight settings as I am from the old school, I have difficulties with butons and knobs, aperture ring on lens , shutter speed wheel, at least with a glance you know what you are doing and where you stand. You don't need to press a few times the wrong buton to set something. So now you know why I come here, I should be at home with this XT20.....if my wallet permit ! I live in London, UK and started shooting Fuji just over a year ago, having previously shot with Pentax and Canon DSLRs. I made the switch when I realised one day that I hadn't taken my Pentax K5 and lenses out of my wardrobe in 2 years! I'd had enough of hauling around such weighty equipment, and the size/heft was always off-putting to my fiance and friends. I'm now loving the Fuji system and shooting primes (14, 18, 23 f1.4, 35 f2, Zeiss 50) and it's reawakened my photography after a much-too-long hiatus. Looking forward to learning and sharing with you guys! I'm Edo from Milan, Italy. I am new to the forum and it seems full of information and friendly too. I hope to find ways to improve my knowledge and ways to better use my Fujifilm XT1. A little about myself: i am 51 yo today (!) and I take pictures since I was 14 or so. I had a real set back with digital, as I could not adapt to the layout of digital cameras: too much switches and too fiew rings. But now, with XT1 all is turning my way: a camera with f ring actually on the lenses!! what one can ask more? So my enthusiasm is back!! My Name is Jeremy and I'm a full-time freelance photographer based actually in Central Scotland. I was a Nikon user for over 30 years and switched to Fuji in 2013 with the X-Pro1 and X-20. I'm now using the X-Pro2 and also have the X-T2 as second body. I'm also a member of the Admin Team for a Collective Fashion/Modelling group in Central Scotland. Hi from Coventry Uk. I'm Yorkcov. A total newby to digital. Did play around a bit with slr film 50 years ago so some of it is familiar! Just bought a secondhand X30 which arrived today so can I ask a question please, probably the first of quite a few! I'm trying to set up gridlines to help me with rule of thirds. I've entered "Set up/Screen setup/Framing gridlines/Grid 9/OK"
Doesn't seem to do anything. Am I doing it wrong or could there be a fault? My name is Nic and I'm a Canon cross-over to Fuji gal. I've been a photographer for a little over 5 years now and I've just recently made the transition to lifestyle/docu because it was just more fulfilling to capture. I kept grabbing those little moments in my sessions, here and there, and they made my heart pound. I think the same way I felt when I first saw a random Fuji X-E2 review and it blew me away. A photographer just like me had recently made the transition from the big name guys and was loving Fuji. Broke it out for a wedding, on it's own and did a full review. It was breathtaking for me - what I knew I had to be doing. So I hunted and hunted for a used X camera and here I am, with one on the way and diving into info and blogs. I'm just a girl, with a Fuji X-E1 (no lens YET! ), asking you to love her, and guide her in the Fuji ways. Kidding, I'm so thrilled to learn all about Fuji and what it has to offer! Cheers! I have been in contact with the photograph since very early, because my grandfather was a photographer, and my father was also a war photographer in the Portuguese colonial war in Africa. I came here knowing that this is a relaxed forum, with no aggressions in between :-D.
I am a retired engineer living with my wife and my dog In a small California town 22 miles north of San Francisco. I've had this photo hobby from the times immemorial, since my dad gave me a film camera for my 11th birthday. I'm 79 now and after having gone through multiple brands shoot these days mostly with Nikon D750. However its getting increasingly difficult to lag around the bag filled with Nikon stuff, so after long considerations I preordered Fujifilm X-T20 - right after it's been announced. Now, as the song goes, when the saints go marchin in I want to be in their number. You may see samples of my photos on instagram: https://www.instagram.com/arthurkalmeyer/. Just saying hello to all at this point, will be looking to pick your brains soon. I'm a little frustrated; I previously owned both a Fuji X-10 Digital point-and-shoot and a Fuji 645W Professional Film camera, both of which were damaged recently (my own stupidity, but that's why you have insurance). Being a bit of a dinosaur - this is my umpteenth camera, since acquiring my Mum's box brownie 50 years ago - never mind all the cameras borrowed from other sources, I'm relatively conversant with photography, but maybe not so much with digital stuff. Hoping some folks can assist me with what the Fuji Guys cannot. I already know how to hold a camera, eh? Also the 'rule of 3rds'. Don't give a darn about shooting 4k video at this point. Unable to contact Fujifilm Canada in order to correct my registration info (they have my middle name as my last name, and won't allow me to complete the process as apparently they have my home email address on file from my X10 ownership, so now I have to use my business email addy and a different Member ID just to get this far) ... 20 zillion links on their website, but NO DIRECT EMAIL contact, how frustrating. Anyway sorry to intro with a complaint, I have a sunny disposition and a great attitude generally. Hello, my name is Mark, I have been a professional photographer since 2012. I mainly work in the Greater London area, but do travel from time to time. Some of my time is taken up working for free with the local community and for a homeless charity in Havering, Essex. I first picked up a camera when I was seven, I haven't stopped since. I've been a Nikon user since 1990, owning a FM2n, FA, F90x, F100 and D200. I've also owed a Bronco ETRS, plus, was able to borrow Canon digital gear (still preferred Nikon!). I finally switched over to Fujifilm in 2015, after buying a pair of X-Pro 1s. I have decided to stick with Fujifilm from now on, the old X-Pro 1s wiped the floor with the Canon 5D ll... sorry Canon! I plan to buy the GFX50s, when I have more money!.... I want it for my portrait, wedding and landscape work. As to what else do I shoot - Anything and everything! My name is Frank. Ive been using the X-T1 for a little over a year now. Using it concurrently now with a Nikon Df. I am amazed at the image quality. I was so impressed with the X-T1 that I picked up one of the bargain XP1s on EBay, but did not enjoy it as much. Sold that and picked up an XE2 and found it right on the money. I think I was just put off by the size of the X Pro 1. I am currently using the 35mm F2 as my primary lens. I have the 56mm the 50-140 and the 10-24. These lenses and cameras have just blown me away and really excited me about shooting again. 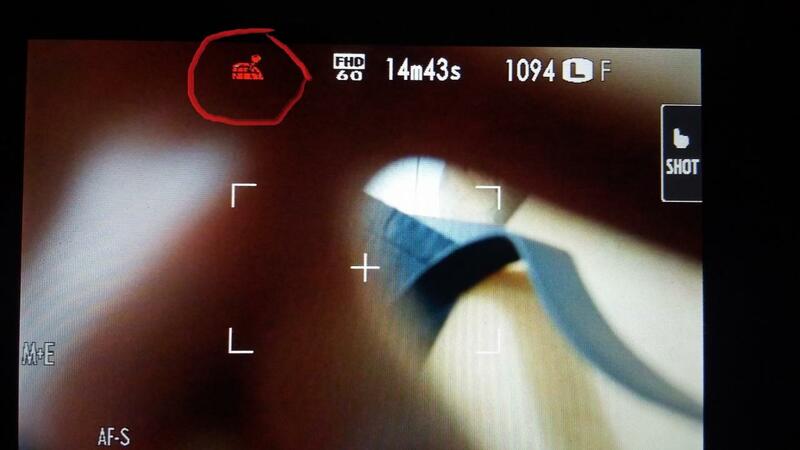 how i can hide warning on my camera? I am very new to Fujifilm having just in recent weeks purchased an XT10 which I am slowly getting used to. Am looking forward to participating and learning from this forum. My main interests in photography have been AVs in the last couple of years. I have been a member of my local clubs , Shirley and Solihull over the last 30 yrs on and off but I hope with the XT10 my interest will increase. My name is Rich, I live in Paris. I switched my Nikon D7200 for a XT2, lighter for street photography. My first review is that the AF is far better with the kit lens than it was with the Sigma art 18-35 mounted on my SLR. It's a real pleasure to use my new Fuji camera. I have wanted a Fuji X100 for a while and was waiting for the new model to come out. I learned today that my new X100F will arrive Friday from Amazon and I am excited to try it out and see what photos I can make with it. Hi, I am Daniela from Rome, Italy but live in the UK. I started my photography with a little fuji S5pro and followed up with a Nikon D300S which I still have. I have now just bought myself a fuji x-T2 with a kit lens (more lenses to follow) as my Nikon DSLR has become a bit too heavy to take with me on my travels at cause of health problems. So I am back to Fuji which I do love as it is light to carry. Unfortunately the new camera its a bit complicated and did not come with a user info booklet, I have now just managed to download one and will start the learning process. I do Stock photography for Getty Images and other agencies like Alamy, Dreamstime etc. I also enjoy travel , architectural , nature and wildlife photography. I have taken the T2 on her first trip to Croatia, Bosnia and Montenegro with two 32gb SD cards. Alas at the end of the journey the first card started to display reader error so I switched to the second card. When at home I tried to download the images to my PC but the first card tells me to format the card (i am not stupid so im not doing that as I will loose all the images, that I can still see are definitely there on playback). I have obviously done something wrong. The second card downloaded without any problems. What can I do now to retrieve all my work? At the suggestion of a friend I downloaded the Fuji remote app on my iphone but have not managed to connect to the camera . What else can I do? The camera came without leads so I cannot connect her directly to the pc. I hope that you will forgive me my ignorance, I am a newby with this camera and i am trying to learn the ropes. Hi, I'm Wolfgang from Germany. I like street photography, especially with my X-Pro 1 and the 27 mm lens, but I try to shoot other things, too. Daniela, the best way to download your images is via a USB card reader! Lexar UHS 11 cards include free a fast SD card reader. Both Sandisk and Lexar give free access to card rescue software, or google image rescue to get more options! Fuji do not include a lead suitable to conncect to a computer, again a suitable cable is cheaply available on Amazon! Mine was originally for a Blackberry phone and works well! But I reckon downloading via a card reader is the best bet! Hi, i am Peter and i live in The Netherlands. I am using Fuji XT1 for about 2 years now, before that period i was using a Panasonic FZ50. I am very happy with the quality of Fuji and i like the firmware upgrades. I'm a new - as in just purchased my X-T2 yesterday - convert. My professional career started in the mid-80's as a commercial print & fashion shooter and at one point I had at least 5 different film-based systems including a Contax 645. While my most-used film system was Nikon (F3HP and later F5) my most-loved camera was the Canon F1-n, and the killer 85mm f/1.2. While I did use the EOS system later I never fully liked it and often dumped my EOS 1n for my FD-mount F1 instead. And that's partly why I became a Fuji convert: My new X-T2 looks and feels similar to the F1-n. Of course it's physically smaller and lighter, but the aesthetic is *damned* close. And having old-school manual controls on top like the film cameras of old... yeah, that pretty much had me at "hello". But pining for the good-ol-days wasn't the primary reason for making the switch, it was the gorgeous natural color that the "X" sensor creates. And being the *only* non-bayer-type sensor camera system currently on the market is a big deal. As far as I'm concerned Canon and Nikon are going in the totally wrong direction: More pixels but the same-old sensor technology and not attempting to create better color on-chip. In fact, the best digital color I've ever seen from any DSLR was on the Sigma that had the Foveon sensor. Fuji's X-sensor isn't the Foveon, but it's way better than Bayer! While I still shoot stills for my client gigs my primary role since the mid-90's is that of commercial film producer, and that's one of the primary reasons I jumped on the X-T2. The 4K footage with the X-sensor is just gorgeous. My hope is that Fuji will follow Panasonic and soon offer 10-bit 4:2:2 color and at higher bitrates (there is a big, noticeable different in post-production between 8 and 10-bit), but I'm confident it will happen since Fuji is so aggressively updating their firmware far more than any other company. And what am I rigging my X-T2 with? The vertical grip, a Novoflex OM-to-Fuji adapter (all my lenses will be Olympus OM to start) and a PL-to-Fuji adapter so I can use the cinema primes and zooms we use for our flmmaking. UPDATE: After testing the OM lenses I selected I'm changing up to a Nikon and Contax lens system instead. I'll share results when everything comes in and I'm shooting.